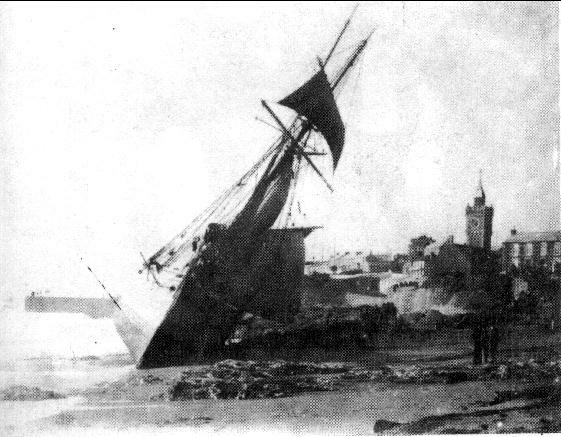 The St. ANNE, the last sailing schooner to be wrecked at Porthleven, struck just beneath the Bickford-Smith Institute and narrowly missing the Quay, on 3rd November 1931. Driven before a violent south-westerly gale she was badly holed on floundering and became a total loss. She had sailed from Cardiff the previous evening bound for Vannes with a cargo of coal. The stout ribs remained on the fine gravel shore for some time but eventually heavy seas ( and wood saws in the hands of some of the local inhabitants) removed all trace of the wreck. 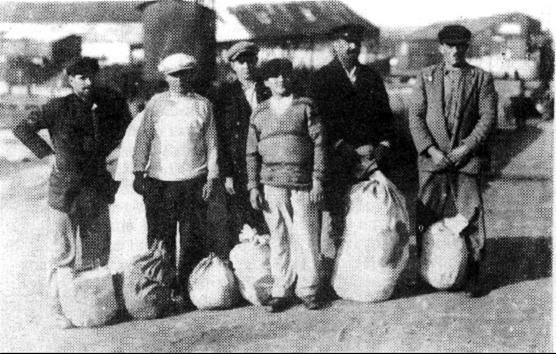 Some of her cargo of coal even found its way onto the fires of the nearby cottages. PORTHLEVEN LIFE SAVING ASSOCIATION TEAM.